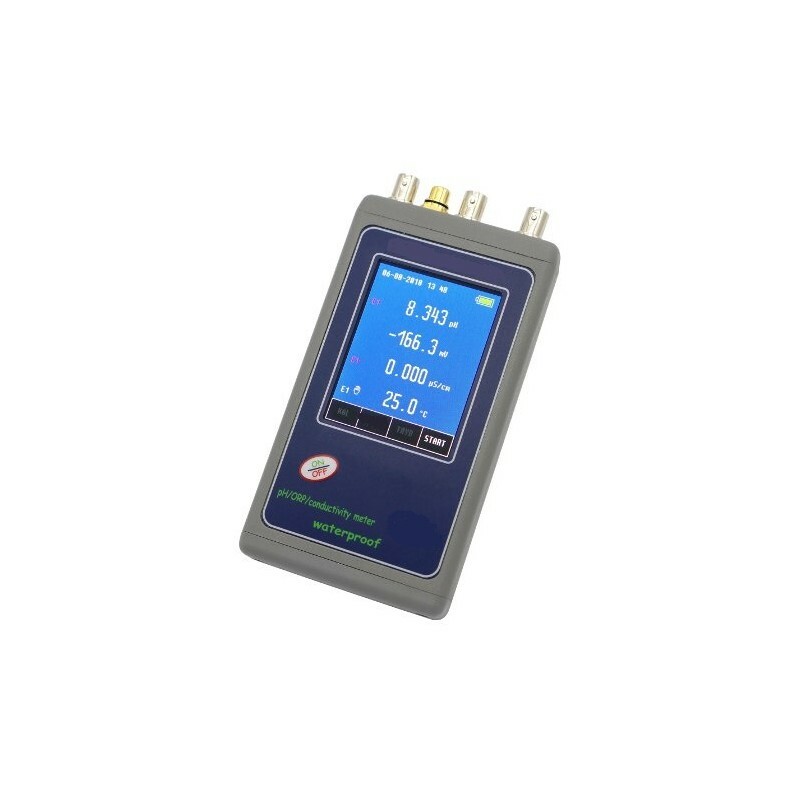 Very high accuracy meter for use in the field and laboratory. 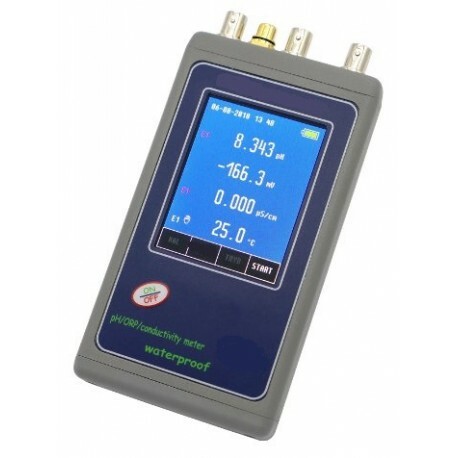 Simultaneously measures pH, redox potential (ORP), conductivity, resistivity, salinity and temperature. It is distinguished by a 3.2" color graphic touch screen which enables simultaneous observation of all the chosen functions. Wide conductivity measuring range enables measurements of all types of liquids both ultra pure and salines. Calibration in 1 to 5 points. In the pH function automatic correction of the pH standard solution value changes, along with the temperature changes for NIST standards. In the conductivity measurement function automatic selection of the temperature coefficient for natural and ultra pure water. Memory of 2 000 results. Στη τελική τιμή συμπεριλαμβάνονται: τα ηλεκτρόδια πεχά, redox, αγωγιμότητας, ο αισθητήρας θερμοκρασίας, θήκη μεταφοράς και οι οδηγίες λειτουργίας.